When I think about Portland, I picture those golden trees with leaves galore, the nippy mornings, the endless walking, the delicious donuts, & the coffee. Oh, the coffee. In order to stay alive & function with all the steps we trekked, Fred & I definitely needed some caffeine. 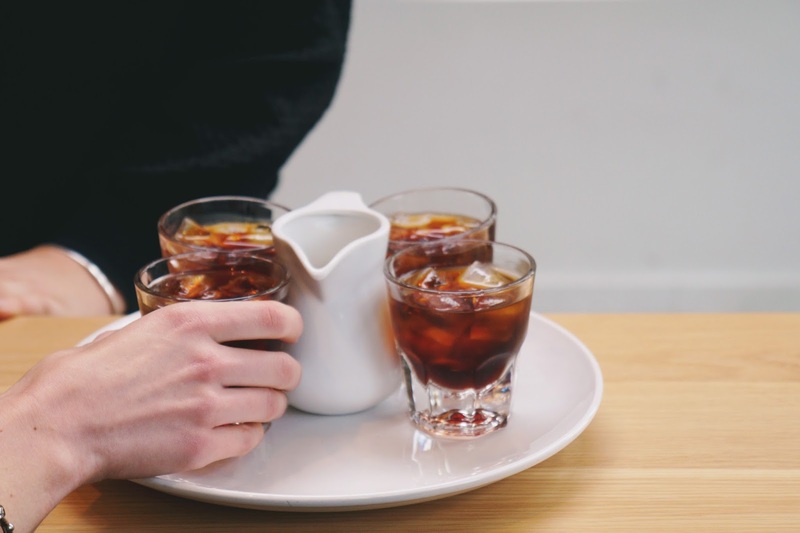 Thanks to Third Wave Coffee Tours*, Fred & I spent one morning exploring some of the finest coffee options in Portland, Oregon. 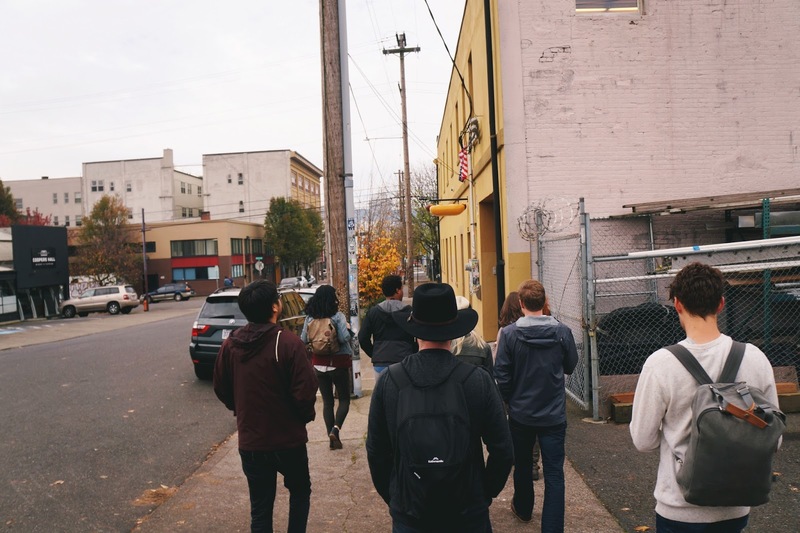 I opted for their Pioneering Eastside Roasters Coffee Tour, a three-hour guided tour on the east side of the Willamette River. 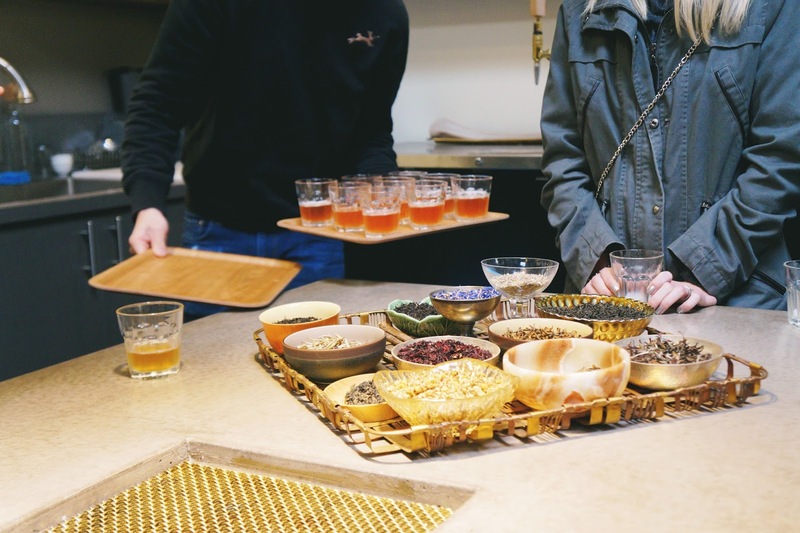 The Eastside tour starts at 10 a.m. on Fridays & introduces you to top-notch espresso, cold brew variations, & even a cupping experience — the practice of observing the tastes & aromas in brewed coffee, basically a coffee tasting. This tour introduces you to the pioneering micro-roasters that sparked the third wave coffee revolution. The tour began at Portland Roasting Coffee — a sustainable & carbon neutral company — where we waited a few minutes for the rest of the tour members to join. 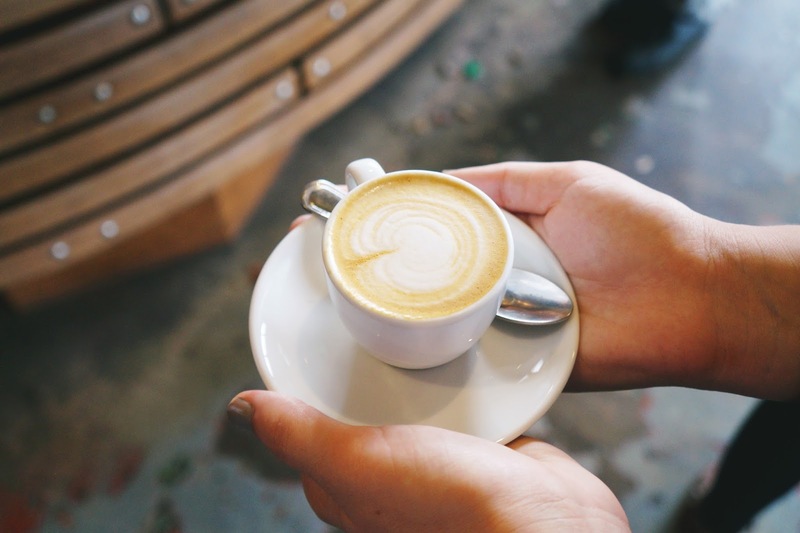 We tried the small but mighty macchiato with a bite of cookie before we were on our way to the next stop, Steven Smith Teamaker. Yep, we went to a tea place during the coffee tour. Steven Smith is actually the mastermind behind Tazo Tea as well as Stash Tea. Go figure. We tried nitro chai tea with a touch of half & half. It was utterly glorious; I still dream about it. We also sampled both the iced & hot tea versions of the Sparkling Strawberry Honeybush. As a tea fan, this was my favorite stop of the day. 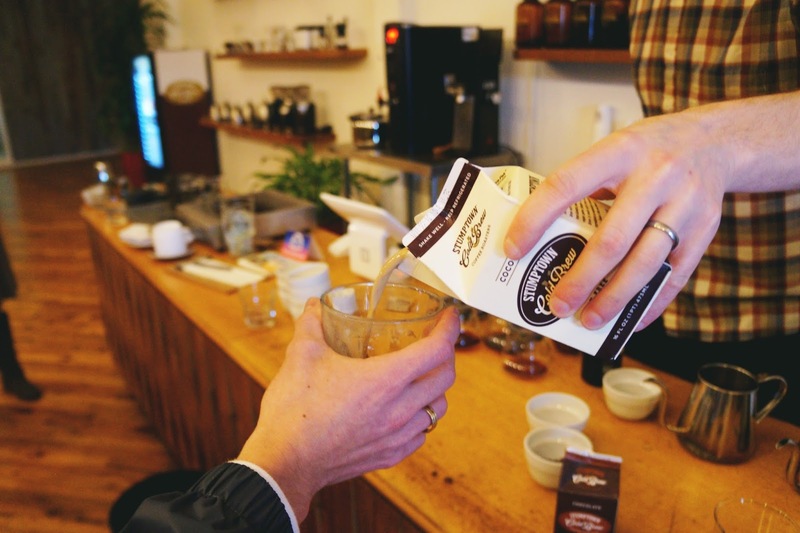 Then we began the journey to Stumptown Coffee Roasters, a brand that focuses heavily on sustainability, direct trade, & paying their coffee farmers liveable wages. 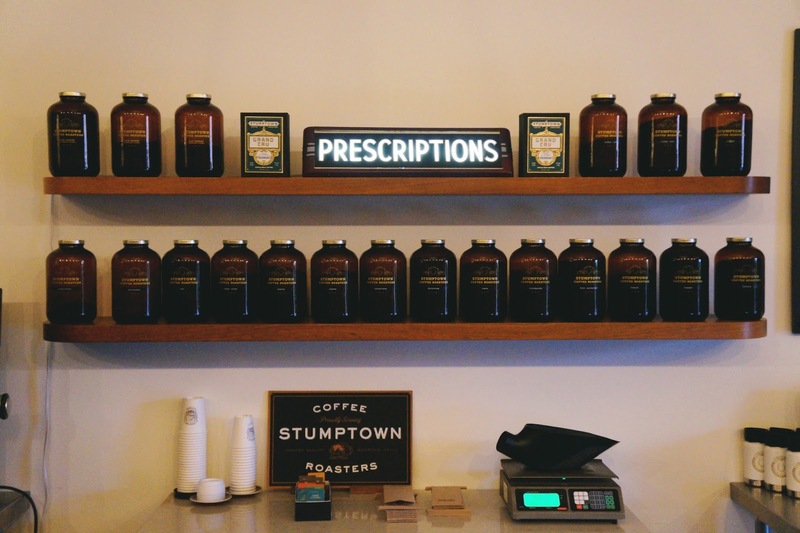 The Stumptown visit was abundant in its information & coffee samplings. We sipped on quite a view varieties, but I was particularly in love with the Stumptown Chocolate Cold Brew, which is essentially coffee spiked chocolate milk. Yes please. 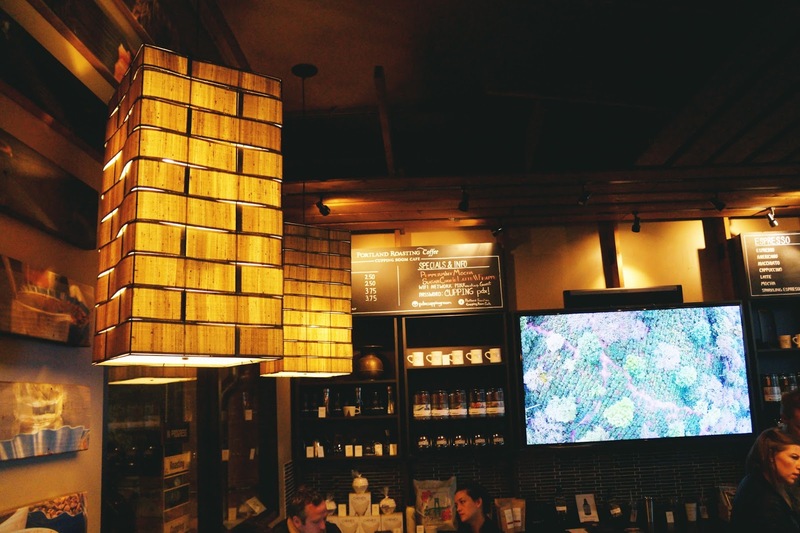 Next up on the tour was Coava Coffee Roasters with their cool & open wooden interior. Instead of using the traditional but wasteful paper filters, they created their own handmade cones with tiny holes to strain the coffee. 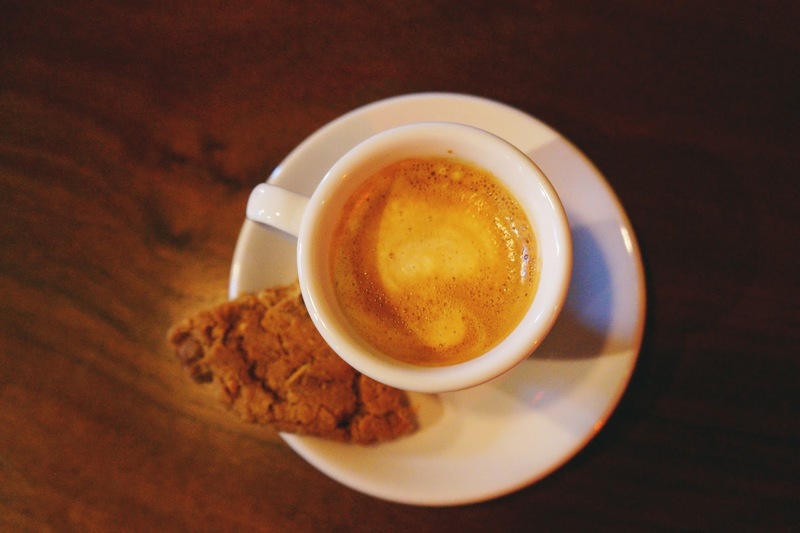 We tried a single shot Guatemala macchiato & nibbled on bits of a cookie. 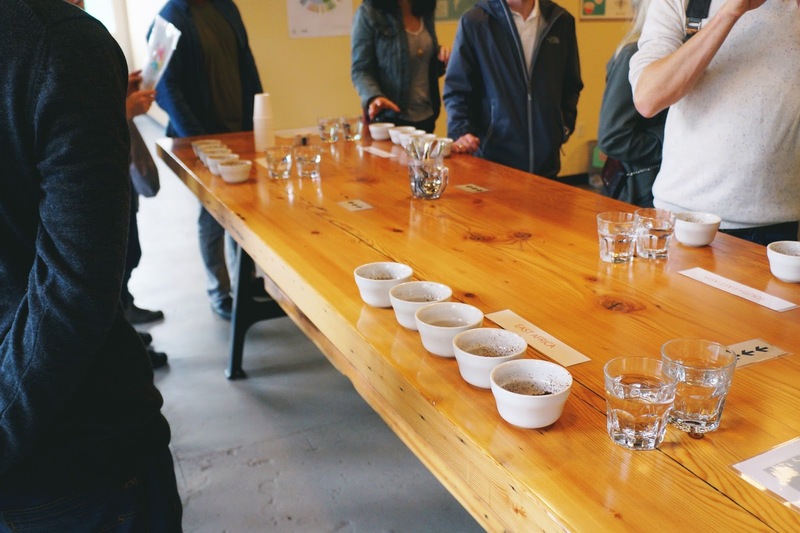 A cupping is a coffee tasting where you observe the tastes & aromas in brewed coffee. 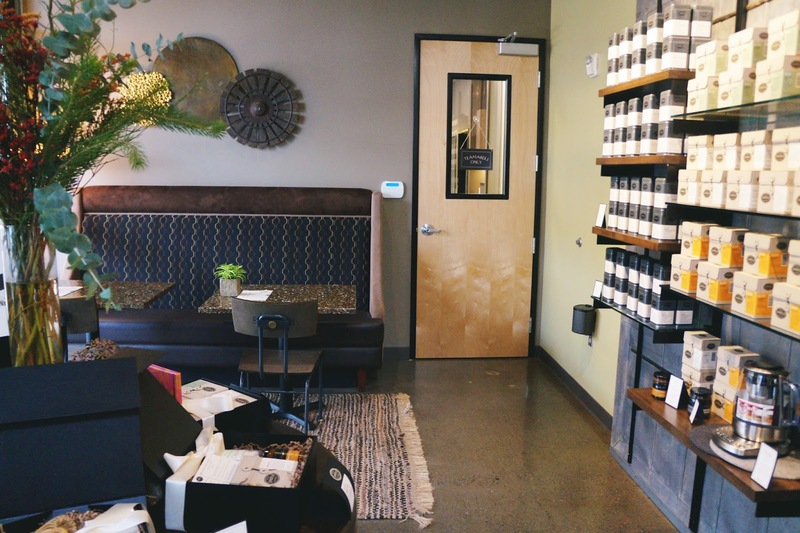 For our cupping experience, we ventured to Buckman Coffee Factory. The cupping begins with smelling the freshly ground coffee & pointing out any odor descriptors such as earthy, floral, spicy, etc. Step two is to add water & smell again. The third step is to break the crust by taking a spoon & pushing the floating coffee grounds away while smelling again. The last step is to taste the coffee & compare notes with the others. Our last coffee shop spot was Upper Left Roasters, where we sipped on their cold brew coffee with hazelnut macadamia milk. 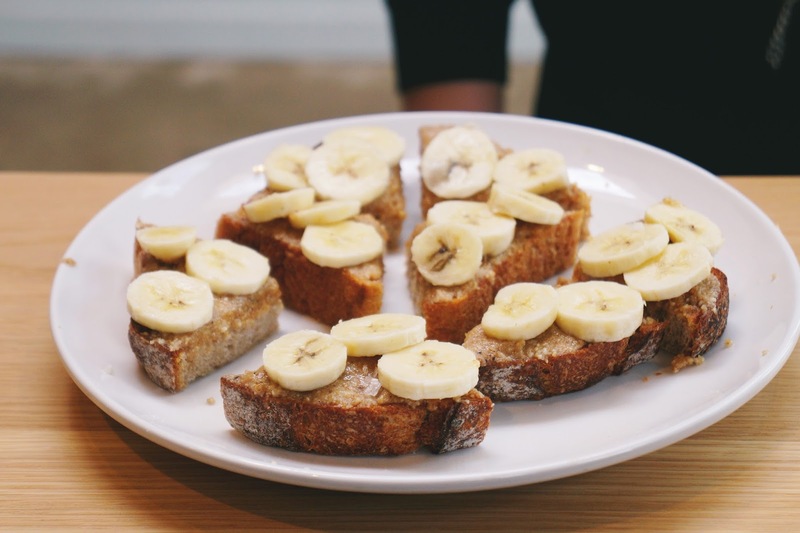 To wash everything down, we got a bite of their delicious country wheat toast with macadamia nut butter & banana. I'm not ashamed to admit that I grabbed a second piece of toast. I left the Pioneering Eastside Roasters Coffee Tour feeling high on coffee & ready to take over the world. It's the perfect experience for any coffee lover, & I give it bonus points because there was time for tea. 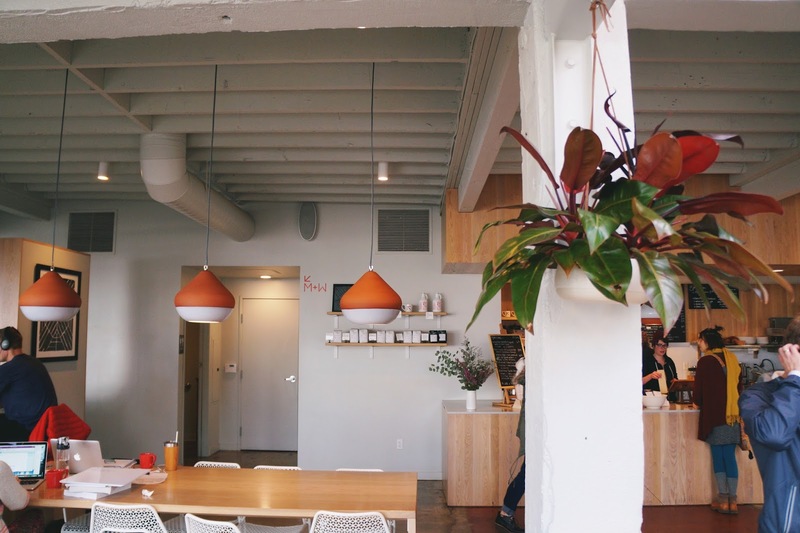 If you're in Portland & enjoy your fair share of coffee, Third Wave Coffee Tours is spot on. I think this was a great guide to Portland coffee! I love Upper Left Roasters. It's such an inviting and cool space. So sweet! 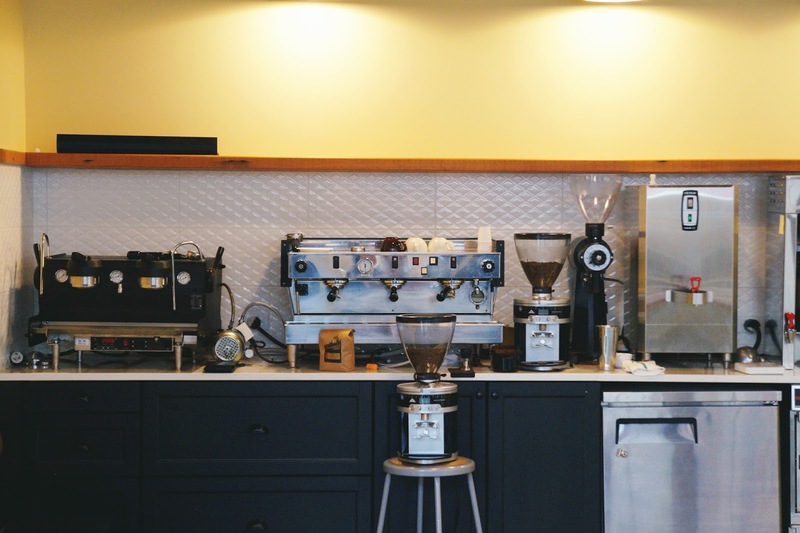 I just made a similar post about San Antonio, Texas coffee shops! Fun and a great post - I'll bet you were buzzing by the end of it! How cute is that serving set in the first pic?! I'll definitely check these out whenever I visit Portland! Thanks for sharing! This looks so good!! Wish I could go to Portand once. Nice post! Such a cool idea! I'm not much of a coffee drinker, so the tea spot would have been the highlight for me, haha ;) But still, it's a brilliant tour idea, and I'm sure it tasted just as great. So many great finds! Love Portland so much and this makes me want to get back there for a visit! You were in my city!! We do love our coffee here :) Third Wave Coffee Tours are the BEST!! 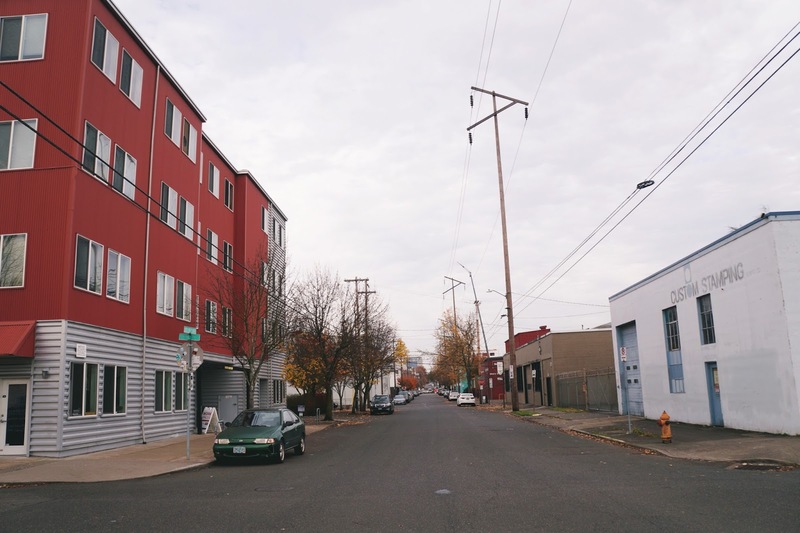 Portland seems like a cool, slightly wacky place to visit. The food always looks amazing though! I live in Portland. The coffee tour sounds fun! We are overdue for a trip to Portland. And boy do I LOVE coffee! I want to go to Portland! It's one of the next travel stops for me and my husband! Can't wait to try all these places! That's so cool, I wish we had this sort of thing in Australia. I've only tried specialised tea once or twice! I'm such a big tea drinker, and I love the sound of that nitro chai! Right up my alley. Wish I had a place like this near me! This is awesome! 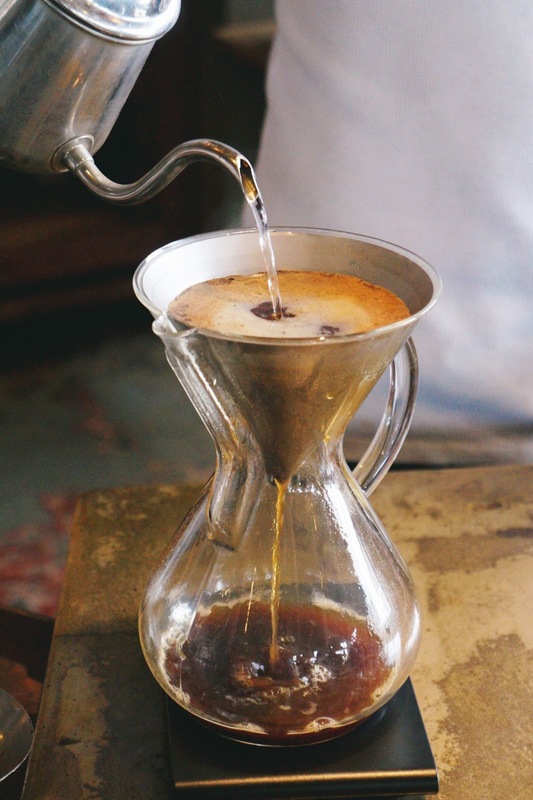 We've tried three of these and many small coffee shops on our visit to Portland!